Do Your Labels Comply with the E.U.’s MDR? Although the European Medical Devices Regulation (MDR) will not go into full effect until 2022, if your medical device company does business in the European Union, you may need to modify your labeling before then. The EU MDR has laid out requirements that further obfuscate the labeling operations of medical device manufacturers. Now, companies will have to include more information on their labels than was previously required to remain compliant through to 2020. 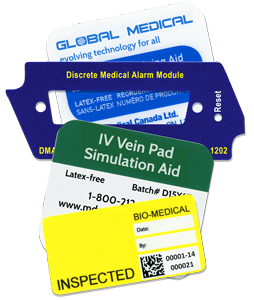 All labels must include a standardized symbol, which has yet to be determined, that indicates that a medical device is in the package. Every active implantable device must have its own unique serial number. Other implantable devices will require either a serial number or a lot number. All warnings and precautions that are associated with the device must be printed on the label. Warnings can be brief, with more details in the Instructions for Use (IFU), but it is unclear what must be included on label and what is okay to leave in IFU. Unique Device Identification (UDI) requirements will apply in the E.U. just as it does in the U.S.
Labels for single-use devices that can be reprocessed must detail the maximum number of times the device can be reprocessed and the number of times it has been reprocessed to date. All devices that incorporate a medical substance, tissues or cells, or the derivatives of tissues or cells must declare so on the label. The same goes for devices that include carcinogenic, mutagenic, or toxic to reproduction (CMR) substances. Every medical device manufacturer that is not based in the E.U. must have a licensed E.U. representative, whose information is required to be included on the label.